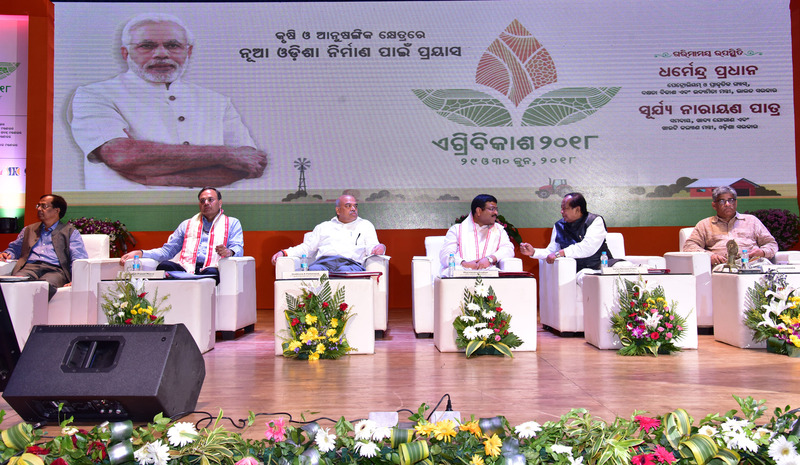 Bhubaneswar: AgriVikas 2018, organized at Siksha O’ Sandhan in Bhubaneswar, drew to a close with a grand valedictory function on Day 2. The Valedictory function was kicked off with a welcome address by Smt. Aparjita Tripathi from KPMG and summarization of the proceedings Smt. 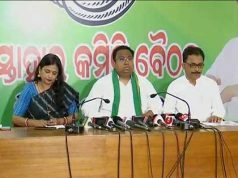 Hema Yadav and Shri Jagadanada, former Information Commissioner of Odisha. Shri Jagdish Prasad Meena, Secretary, Ministry of Food Processing Industries then addressed the gathering on the employment opportunities created by schemes initiated by the Prime Minister, Shri Narendra Modi in food processing, cold storage, food parks, warehousing etc like the Pradhan Mantri Kisan SAMBAD Yojana. He also described the potential for developing agro-processing clusters in Odisha. Shri Sobhana K Pattanayak, Secretary, Department of Agriculture & Farmer’s Welfare, Ministry of Agriculture & Farmer’s Welfare enunciated on matching the cultivation with soil and weather conditions for optimal output. He also captured the massive opportunities in export linkages, solar drying and biofuel. Guest of Honor Shri Surjya Narayan Patro, Hon’ble Minister of Cooperation, Food Supplies and Consumer Welfare, Government of Odisha stressed upon the importance of qualitative and value-addition based farming for the growth of the agricultural sector in Odisha. Chief guest Shri Dharmendra Pradhan, Hon’ble Minister of Petroleum & Natural Gas and Skill Development & Entrepreneurship distilled the importance of Bio-CNG generation from agricultural produce to farmers and students, and described how Bio-CNG can contribute Prime Minister Narendra Modi’s missions of reducing import fuel dependence and increasing farmer’s income. Shri Dharmendra Pradhan underlined the Prime Minister’s resolution towards working for farmer’s welfare and urged Shri Surjya Narayan Patro to extend cooperation for support in this regard. Lastly, Dr. Sisir Behera thanked Shri Dharmendra Pradhan for mentoring AgriVikas 2018 and all representatives from Government of India, Government of Odisha, academics, Agri-preneurs, FPOs, farmers and media for making AgriVikas 2018 a grand success.